A British design collective led by artist Chris Duffy created a whole set of furniture in the theme of the Brothers Grimm. 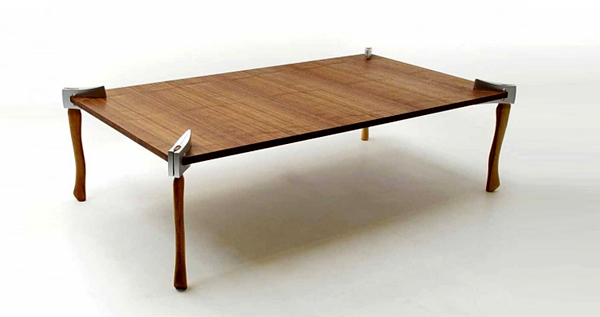 The Woodsman Axe coffee table features Hickory axe handle legs and an Oak or Walnut surface. This collection won the prestigious Peta Levi Memorial Bursary Award 2010.